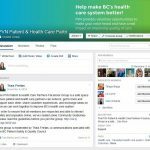 After support of PVN was transferred to the BC Patient Safety & Quality Council (BCPSQC) last year, we focused on growing our membership, welcoming patient and health care partners, creating patient engagement resources, and supporting ongoing engagement opportunities. With a new foundation in place, we knew it was important to develop a three-year plan for the Network, in collaboration with our patient and health care partners, to ensure PVN continues to advance patient and public engagement in BC. “PVN’s Strategic Plan establishes a common vision for the Network, and enables us to focus on our main priorities. It will be the foundation of our work for the next three years,” explained Leah Smith, one of our Engagement Leaders involved in developing the plan. I feel like we were really lucky to come to a place of agreement, which is largely due to leadership and feedback provided by the Oversight & Advisory Committee. Throughout 2016, we gathered feedback from our stakeholders on ways to improve the Network and meet our partners’ needs. 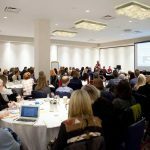 Our Patient & Public Engagement team held conversations with patient and health care partners through Quality Forum 2017, networking coffees, outreach events and orientations. In addition to local feedback, we developed a survey to canvass all of our patient and health care partners. We wanted to provide a platform for them, as well as other patient engagement practitioners in Canada, to tell us the aspects of PVN they find most valuable and help guide our future direction. Provide more practical skills training for patient partners. Next we developed a draft Strategic Plan, which we shared back with committee members, as well as our Patient & Public Engagement team. After incorporating their revisions and receiving the committee’s endorsement, the plan was presented to the BCPSQC Council members, who supported its adoption and implementation. It takes time and thought to get things right. In order to develop a succinct and clear plan, it was crucial to go through the necessary steps of consultation, discussion and development of ideas. The time was well invested, as we now have a solid foundation and a better idea of what we are working towards as the Network evolves, and I believe the Strategic Plan will act as a GPS for moving forward as we navigate the waters of patient engagement. This process of receiving input, co-creating with the committee and finalizing took approximately six months, and we couldn’t be happier with the result! We’ve proudly displayed our new foundational vision, mission, and values on the website for everyone to view, and the Strategic Plan is available for download. We also printed copies which will be distributed at events. It’s exciting to have a plan, and that our values are included in it! 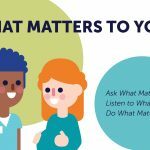 You’ll notice that the values align with the BCPSQC’s values and reflect the principles of patient- and family-centred care. On a personal note, I learned a lot and feel proud in saying that the plan was truly co-created by our patient and health care partners, and I’m committed to ‘living the values’ set out in the plan! This entry was posted in About PVN, News & Events.